Microsoft’s latest Windows 10 October 2018 Update is now being made available to existing machines. All you have to do is visit Windows Update to manually trigger this latest update, or wait until Microsoft starts pushing it out more broadly to PCs next week. Either way, the update includes a number of new features that improve Windows 10 whether you’re using it for work, gaming, or a mixture of the two. Most importantly, Microsoft is finally using machine learning to stop future updates from installing when you’re using your PC. That feature alone makes it worth getting this latest Windows 10 update today, but we’ve been testing the Windows 10 October 2018 Update recently and here are our favorite new additions. 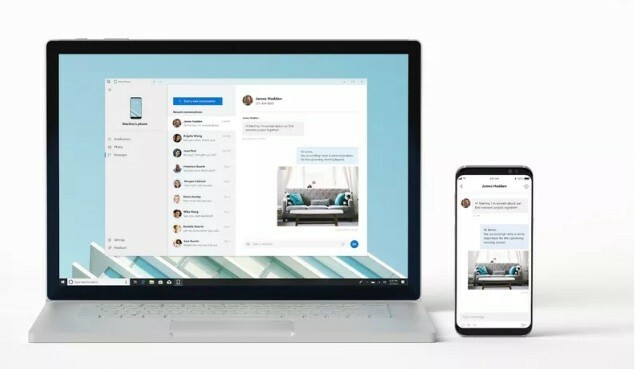 Microsoft has been focusing on making Android and iOS phones work better with Windows 10, and the new Your Phone app is designed to bring a lot of these efforts into a single destination. Your Phone primarily works with Android devices right now in the October 2018 Update, and you’ll be able to sync photos and text messages. Your Phone makes it quicker to pull a photo from your device and immediately copy and paste it into a document you’re working on. The biggest feature of Your Phone, however, is the ability to send SMS messages from your PC, using your phone. This is limited to Android devices right now, but you’ll be able to send and receive messages in the app and they’re sent from your phone. Microsoft says it’s working to try and make the Your Phone features available on iPhones too, but Apple has restricted access to SMS data in iOS so it will require a big change to get this Your Phone feature working with the iPhone. 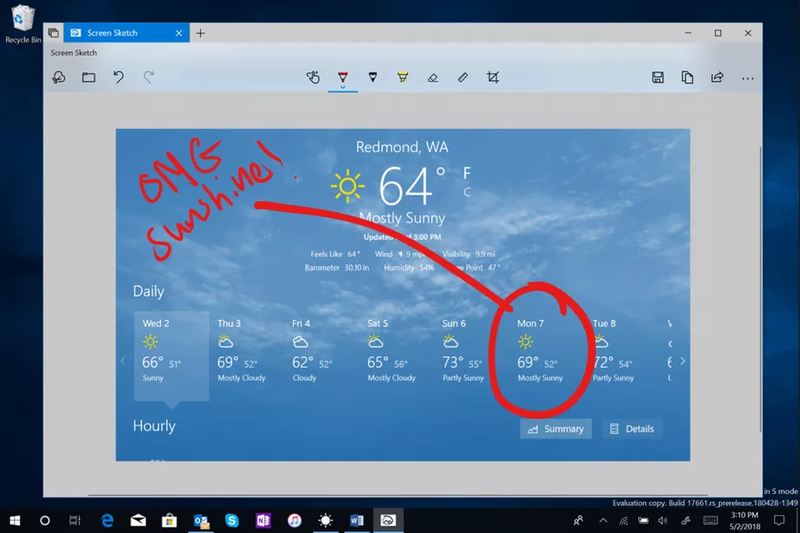 Our favorite new addition in the Windows 10 October 2018 Update is cloud clipboard. You can access a full history of your clipboard by using the Windows + V keyboard shortcut, and this will sync clipboard data across all your Windows 10 devices. It’s particularly useful if you have a Windows 10 PC at home or work and a laptop for on the go, and you want to pick up where you left off. Microsoft is also working to bring cloud clipboard support to SwiftKey in the future, and this will allow you to copy or paste data between a mobile devices and Windows 10. That will make cloud clipboard even more useful across multiple devices. Windows 10 has had a dark mode for some time, but it’s now extending to the File Explorer with the October 2018 Update. It’s a rather dramatic change from the usual white in the File Explorer, but it now suits the rest of the dark theme of Windows 10. If you’re a dark mode fan then this new look is certainly for you. Windows 10 search is changing significantly next year, but for now the October 2018 Update introduces new search previews in the Start menu. Search results will automatically appear in a new preview pane when you start searching. It’s particularly useful for documents, as the contents is now displayed as a preview in the search results. If you search for an app then the preview contents will change into a list of files you’ve used recently with that app, much like the jump lists that appear as context menus in the taskbar. Microsoft is improving the way you can take screenshots in Windows 10 with the October 2018 Update. Screen Sketch or Snip & Sketch, previously bundled in Windows Ink, is now a separate app that can take screenshots and provide options to annotate them. A new winkey + shift + S keyboard shortcut will now bring up an area select tool to snip a screenshot and copy it to the clipboard. You can then annotate the screenshot before sharing it with others. You can also assign the prntscr keyboard button to this new tool, instead of having to use third-party apps like Lightshot or ShareX. Microsoft always adds new features to its Edge browser with every Windows 10 update, and the October 2018 Update is no different. You can now stop videos from autoplaying sound, and better manage the websites you allow to autoplay in the first place. Edge is also getting some Fluent Design improvements with prettier tabs and new effects. If you have a fancy new HDR monitor for gaming or movies then this Windows 10 October 2018 Update is for you. Microsoft is making it far easier to setup HDR in Windows 10 and ensure it’s enabled for apps and games that support it. HDR support in Windows 10 has been a bit messy previously, so these new settings make it far better to control. Alongside the improved HDR support, the October 2018 Update also includes platform support for Nvidia’s new ray tracing GPUs. Microsoft and Nvidia have worked together on ray tracing, and DirectX now supports it with this update. If you own an RTX 2080 or RTX 2080 Ti then you’ll want this update so you’re ready for when games like Battlefield V ship with ray tracing enabled. Task Manager has been gradually improving with Windows 10, and now Microsoft will let you see what apps are draining your battery. A new column in task manager categorizes apps into their power usage, so you can close apps that are drawing a lot of battery life when you’re mobile. Windows 10 now lets you increase the text size you see in apps across the whole operating system now. A new setting in the ease of access section lets you adjust system-wide text size so you can more easily see text in places like File Explorer or even the Start menu. Microsoft is making some more changes to its Game Bar feature of Windows 10 with this latest update. You can now see CPU and GPU usage in the game bar, alongside an average fps. If you’re streaming it’s particularly useful to see if anything is slowing your machine down. 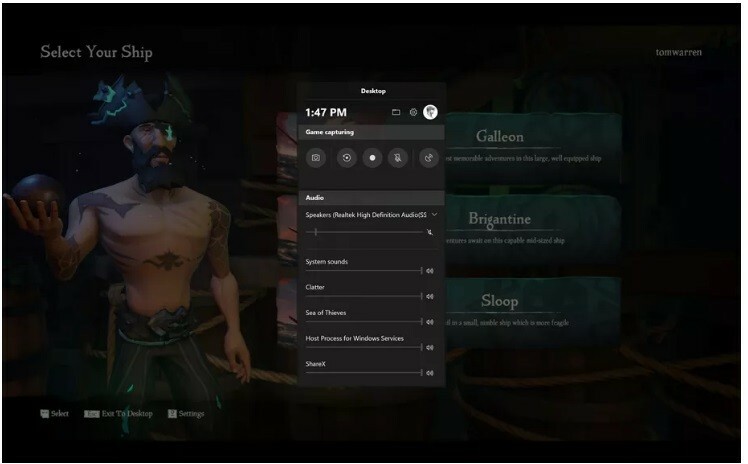 The Game Bar also includes far better audio controls so you can manage what’s being captured when you take a clip or stream your game.